In February 2011, we highlighted the need for increased financial backing of HIV treatment. Suggestions on how to achieve this included greater use of domestic resources, innovative funding mechanisms and new efficiencies. The UNAIDS 2011 World Aids day report has stated that the number of recipients of AntiRetroviral Therapy (ART) has increased, the number of newly diagnosed infections has decreased and thanks to a huge effort by governments and NGOs the social behaviours changing to reduce the spread of HIV/AIDs. Funding, however, still remains the key component in continuing the task of tackling HIV. In June 2011 new goals were set and a huge injection of funds sought aiming to reach $22-24 billion by 2015. Participants discussed this at our meeting on Financing continued scale-up in HIV treatment: more money for years gained and more years gained for the money held in February this year. Efforts are needed to increase domestic resources, generate innovative funding mechanisms and ensure new efficiencies in order to scale-up in HIV treatment. Participants noted that a new approach was needed to address the financial implications of HIV treatment, covering a multitude of areas including; more effective and simpler diagnosis, treatment and monitoring, accelerated affordable access to medication, greater community interaction, implementing standards on a national level and counselling for patients. Governments and other stakeholders in low- and middle-income countries are urged to continue to strive for greater self-reliance in their national AIDS response, and use external resources to support a transition away from external dependence. Some countries have achieved remarkable results, and more emphasis on sustainable financing models and mechanisms, embedded in legislation through the general budget, social health insurance, special funds and taxes, corporate contributions and individual payments from those who can afford them are needed. 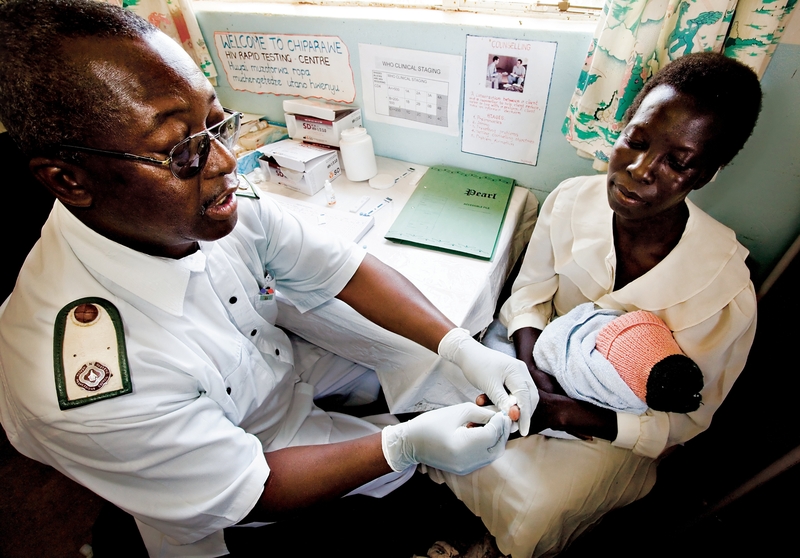 External funders need to make greater efforts to support and leverage national financing, to focus explicitly on funding only evidence-based programmes and to support countries in driving programme efficiencies and quality, and ensuring that the most vulnerable and affected groups are inclusively engaged and have access to prevention, treatment, care and support services. Greater quality and efficiencies in programmes are called for. These included: developing new, effective and simpler technologies for diagnosis, treatment and monitoring; further accelerating affordable access through collaborative partnerships and competition; and speeding up quality assurance, regulatory and licensing processes. Priority areas for programming include: taking service delivery closer to, and involving, communities; scaling up integrated disease management approaches for HIV, TB, other chronic infections and non-communicable diseases, including reproductive, maternal, neonatal and child health; promoting use of standard treatment guidelines and regimens in national policy; encouraging greater take-up of HIV counselling and testing and earlier initiation of treatment; and investing further in ‘treatment as prevention’ approaches, and scaling up as appropriate. Effective prevention – especially for key risk populations – continues to be essential. The conference emphasised the tremendous achievement represented by the scale-up achieved over the last 10 years in access to treatment for HIV/AIDs, which was made possible through the combined efforts of diverse stakeholders: civil society and people living with HIV/AIDS, national and donor partner governments, private companies, the pharmaceutical industry, faith-based organisations, academia and many others. Unprecedented levels of domestic and international resources have been mobilised. Through the pharmaceutical sector’s investment in innovation, and through generic competition and collaborative partnerships, the cost of first-line antiretroviral therapy has fallen from several thousand US dollars to under US $200 per person per year. Accessible and affordable service delivery models are evolving. These are promoting the take-up of testing and early treatment and supporting high rates of adherence to treatment regimens. Over 30 countries have seen declines in overall HIV prevalence. However, participants also recognised the enormous challenges in maintaining and increasing scale-up in access to treatment, calling for national efforts to be further stepped up in tandem with international mobilisation.